I feel like this still counts for my week of polka dots, but they are heart shaped so it’s a stretch. I got tired of my usual pose and decided to try out the “fashion magazine model” pose. I don’t know why you see so many models posing this way, because it’s incredibly awkward and not something you’d ever do in your day to day life, and yet if you want to make clothes look high fashion, simply turn our your elbows! 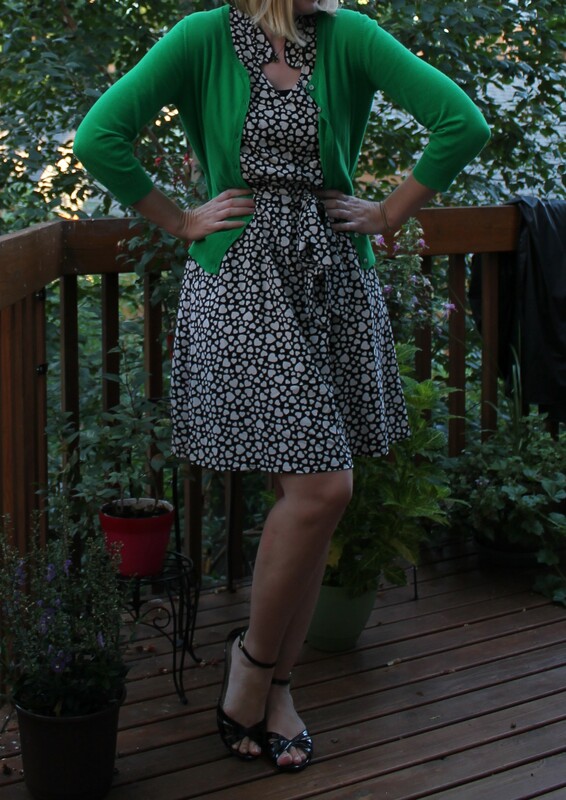 The dress is from Old Navy from a few years back, and so is the cardigan. I love the color combination of black and white plus green. The dress is super lightweight and was good for the 80 degree weather we had today.